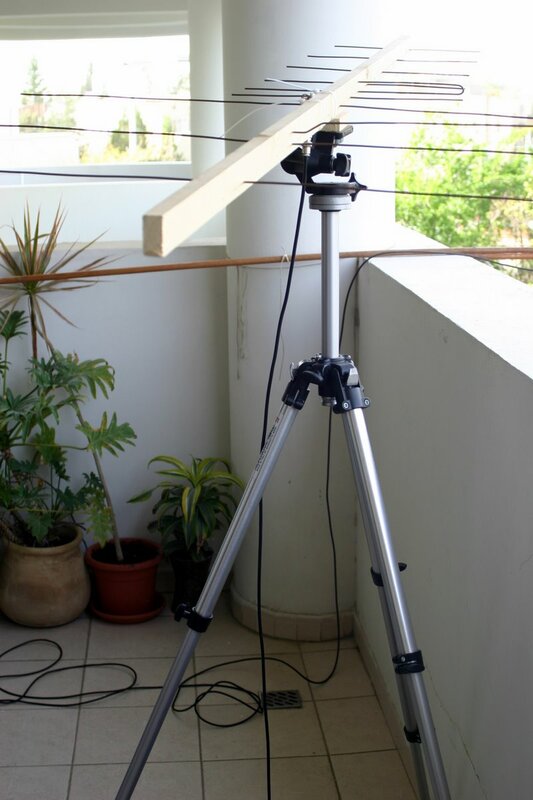 A tripod mount made the Satellite Yagi a lot more usable. 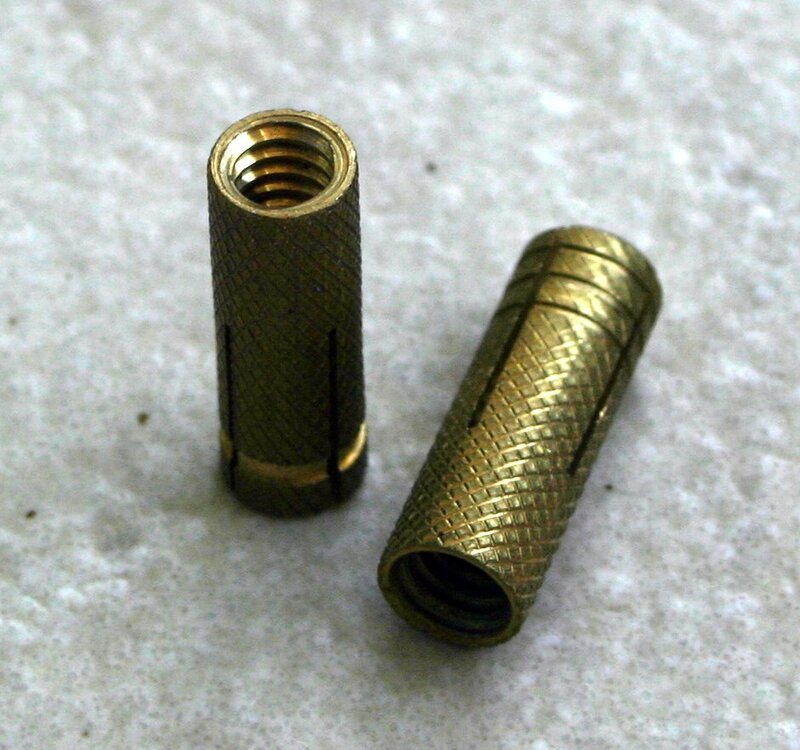 I found a few brass anchors that fit a tripod screw. 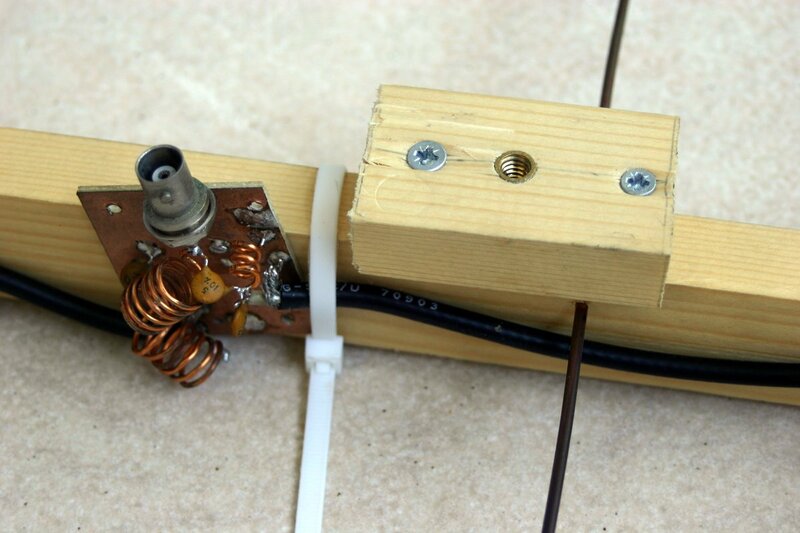 I cut the wood beam of the Yagi so that it was just a bit longer than the antennas themselves. A small piece of the remaining lumber, drilled a hole that fits the anchor through it and forced the anchor through. There a bit of glue, but it’s mostly pressure that keeps the anchor in place. The anchor extended from the other side of the piece of wood, so I drilled the boom too to take the extra piece. Finally, I secured the piece of wood with the anchor to the bottom of the boom using both glue and screws. 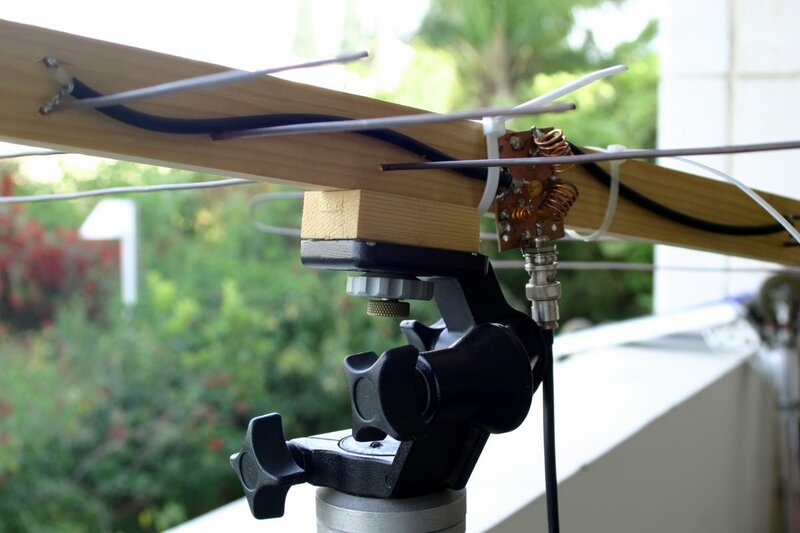 The antenna is now easy to rotate by hand as the satellite moves overhead. I managed to receive many different satellites and to work AO-51 from my balcony, with the antenna essentially indoors. (I can only hear and work the satellites when they are east of me, because the balcony faces east.) The pictures below show a closeup of the tripod mount and the antenna mounted on the tripod.